If you’re messy, lose your invitation. Themed parties are always hit or miss, but if CupcakKe is throwing a beach-themed house party in February, you better believe we're kicking our boots off at the door and slipping into some flip flops. 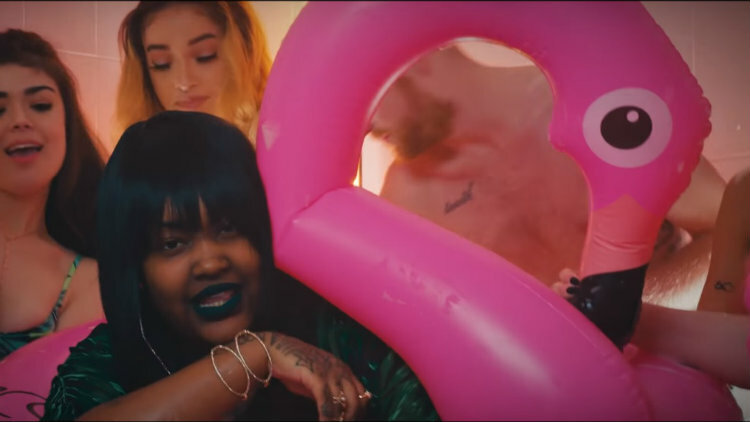 In her new video for “Fullest,” a sampling from her album Ephorize, the rapper shows us what a house party for the Instagram generation looks like. Millennial pink palette: check. Inflatable pool animal: check. Neon backlighting to ensure everyone finds their best angle: check, obviously. As she lays down some very on-brand graphic and zinging lyrics, the party bumps around the rapper. That is, until some messy, uninvited guests show up. A coordinated withering glare followed by beachballs and squirt guns eject the would-be crashers, so the party can go on. Watch, below.